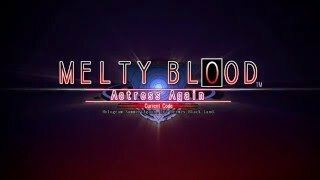 Developed by FRENCH-BREAD, Melty Blood Actress Again Current Code is the latest iteration of the 2D fighting game featuring an eclectic cast of 31 fighters from the Melty Blood universe. Based on the visual novel, the game’s events take place one year after the TATARI incident that left Misaki Town scarred. Pair any of the 31 fighters in the game with each of the unique fighting styles: Crescent Moon, Full Moon, and Half Moon. Discover each of the characters’ motivations as you battle through Arcade Mode. Hone your skills in training mode with every character and fighting style. Fight against your friends locally or online!